I loved hearing about everyone's "Good Things" from my last post. It's nice to hear about good things in other people's lives! The winners of my Lapbook and Foldable Templates are Jill & Stacey! Check your emails ladies. I wanted to share a fun Halloween themed activity we did today in class after our Reading Benchmark. We needed to have some fun! So we created Addition Haunted Houses! First, the students created six addition problems by rolling two dice to create two-digit numbers. Can I just say, that I can't wait for benchmarks to be over so I can have my groups back. I hate rows! Next, the students were given the haunted house template. They had to cut out the house and cut on the dotted lines to create flaps. (That took some explaining and several attempts, but everyone eventually got it!) Then, they glued the house on another piece of construction paper. On the front of the windows and door, they wrote the addition problems they had created, then wrote the answer on the inside of the window or door. Then the creative artistic juices started flowing. Here are some of the finished houses. They looked great! You can download the House Template on Google Docs. You could use it for anything, any math facts, parts of speech, vocabulary words, the ideas are endless! Let me know if your class uses it to create something! I love hearing your ideas. 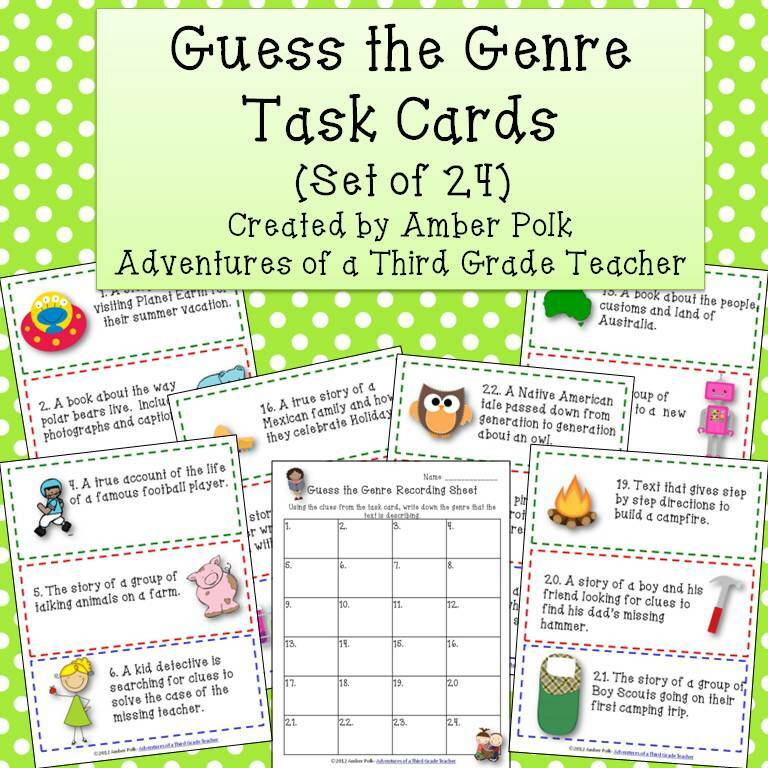 Oh, I don't mean to keep pimping myself out, but I have a brand new set of Task Cards up at my Store! My kids needed to review genre, they still don't have it. 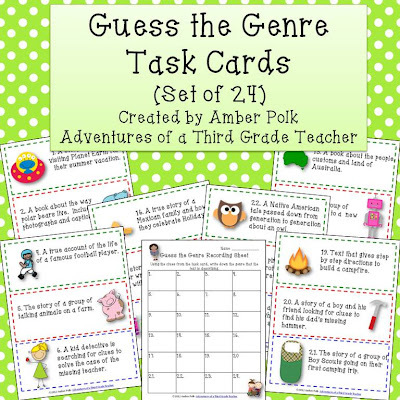 So I created some fun task cards with lots of cute clipart to help! You can check them out at TPT or TN if you're interested. I love teaching poetry to the kids. For myself, I love reading paranormal romances (well, any romance really! ;). I love to teach fairy tales. I like to read mysteries and historical romance. And I love the haunted houses. We always make houses, now I can add math problems or something that makes them more practical education wise. Thanks. I am a cookbook fiend. I love to read them cover to cover! 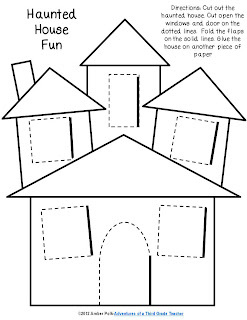 Thank you for the haunted house template...I love fun activities where you're sneaking the learning in on them :) My favorite genre to teach are fables and fairy tales. I do a big fable unit where we make plaster of paris masks of our faces and turn them into fable characters. The kids love it! I love mysteries but love to read aloud fairy tales and legends to my students. It's a toss up for me, teaching poetry and fantasy stories are my favorite to teach my students. My favorite to read would be romance (especially anything that comes in a series)! You always have such fun stuff! Thanks for the haunted house activity as well, I plan on using it next week! I love to teach fables I was especially excited when our first unit was trickster tales fables fairytales etc. And for myself I love Nicholas Sparks books so I guess any genre he would fall under. Thanks for the freebie! I guess I don't have a favorite genre....I just love reading to children and watching their sweet faces as they enjoy the stories. I love to teach fairy tales and then I use fractured fairy tales to teach point of view. I love hearing what the kids think a character is thinking and feeling. For myself, I love reading historical fiction. I really like reading about a time period in the past and see how that character lives in that time. Thank you! I love historical fiction! Thanks for the haunted house freebie. I love to read realistic fiction that's not so realistic (ie. Gordon Korman) to my students. They love the antics that the kids in the stories go through! I love realistic fiction. It is probably the easiest for me to teach, especially since a lot of the students can make connections. I love both of these - thanks for sharing! 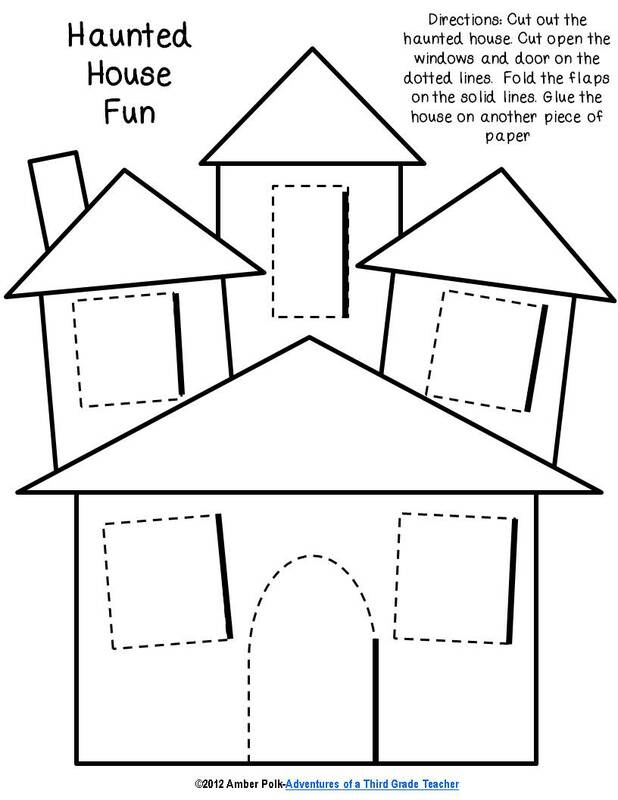 I'll be using your haunted house template with my kids next week! Hey Girl! I LOVE the haunted houses! I'm going to use these with my kiddos with their multiplication this week. They will LOVE this! The task cards look awesome! Fall, Winner & Flash Sale!